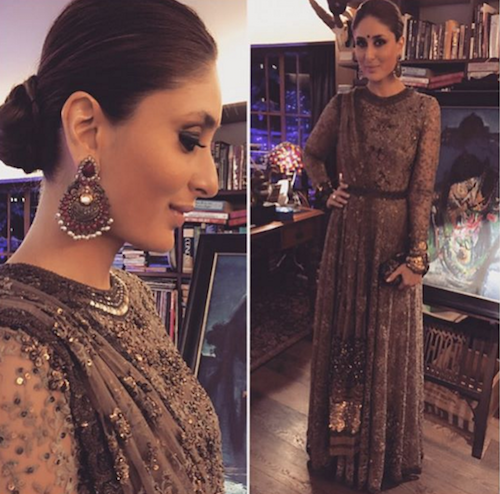 6 FAB Ways To Style Your Dupatta And Look Like A Movie Star! A dupatta is an integral part of our Indian ethnic wear. It is one of the things that makes our traditional wear distinct and unique. For years, people have worn the dupatta in different ways to suit their individual taste and style. Wearing a dupatta just around the neck can be a little monotonous and boring at time. 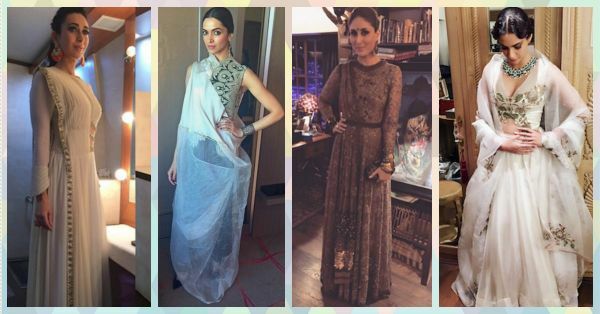 Here are our favourite B-town sweethearts showing us how to style the dupatta in a different way! Image Source: Deepika Padukone on Instagram Deepika Padukone styles her dupatta is an unconventional way by wrapping it around her whole body. Notice how she draped it around her body in a loose and flowy manner so that it does not make her look too tied-up. An easy way to look elegant and quirky at the same time! 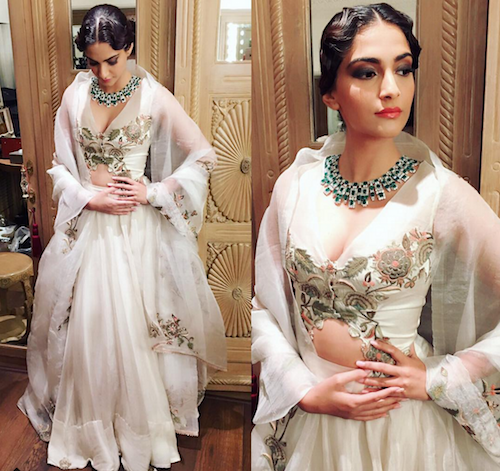 Image Source: Rhea Kapoor on Instagram Sonam Kapoor is known to style her ethnic wear in unique ways and still look gorgeous beyond comprehension. Here, she shows an interesting way to wear a dupatta with the saree and make it look like a double-pallu saree. Take note, ladies! Just make sure the dupatta blends in seamlessly with the design of the saree. Image Source: Tanghavri on Instagram No matter how gorgeous a dupatta may seem, sometimes it does get a little messy and all over the place. A nice way to fix that and keep it classy is to simply tie a waist belt over it. This creates a neat structured look and also creates a very flattering silhouette. We love the way Kareena has styled her gorgeous attire and the way she balanced out the flowy design by tying it up with a thin waist belt. Image Source: Karisma Kapoor on Instagram If you haven’t warmed up to heavier fabrics and designs or you cannot manage them, then use this technique to style your dupatta. Simply fasten it on the shoulder using a clip or stitch it along the waist. Check out how Karisma wears an attached dupatta and looks the modern desi diva we all aspire to be. Image Source: Rhea Kapoor on Instagram If you are attending a wedding or any important occasion where you are required to look your best, then open up that dupatta and pull it over your shoulders like a shrug. This style will leave you feeling and looking like a fairytale dream. And none other than Sonam Kapoor herself to show you how it’s done! Image Source: Tarun Tahiliani on Instagram And last but not the least, here is the maestro of all things beautiful and Indian, Tarun Tahiliani showing us how simplicity meets elegance. Putting a subtle twist to the traditional and common way of wearing a dupatta by simply twisting it along one side. We all know how we all we wearing our dupattas when we go out next time. HAVE A STORY IDEA FOR POPxo? If you want to hear about it, we can write about it! Just tell us your idea here! 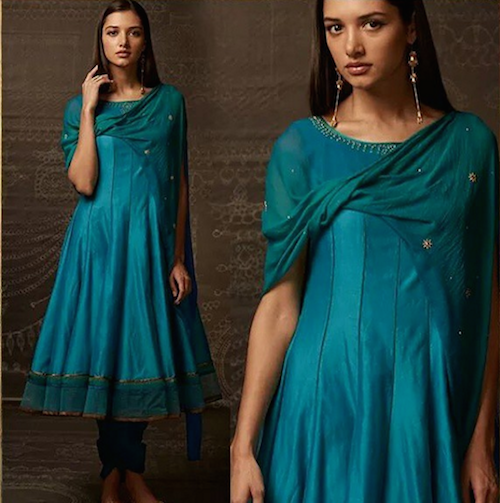 MUST-READ: 7 FAB Ways To Style Your Indian Wear (No, Not With A Dupatta!) MUST-READ: White At A Wedding? Let Your Fav Celebs Inspire Your Look!